When painting and considering interior design, a lot of people are hesitant about being too liberal with color. There’s a fear of clashing and creating a look that is gaudy rather than whimsical. With a bit of creativity, you can use color to your advantage and learn that it’s nothing to be frightened of at all. Creating a beautiful color scheme in your home is all about making contrasts. If you’re unsure about applying bright colors to your walls, a good strategy is to paint them in neutral tones so that you can use contrasting brighter colors on your decor. For instance, tan walls will pair well with eggshell blue throw pillows, and the heat of vermilion curtains and rugs will appear striking against a backdrop of white. Painting your trim in contrasting hues can also give an otherwise drab room some personality. 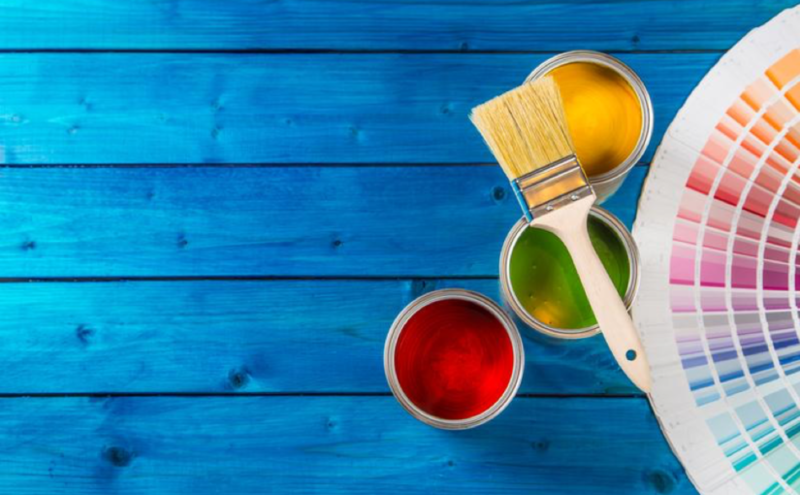 If you’re feeling adventurous, experiment with painting your walls in bright colors like yellow, blue and pink. In this case, neutral furniture would allow the walls to shine without clashing. Decorating your home with intricate bobbles, furnishings, and fixtures is a great way to invite color into your life. Try visiting local thrift stores and flea markets to find cabinets, shelves, and tables at a discount. The beauty of thrifting is that you can take a piece of basic furniture and turn it into a statement piece with just a few coats of paint. In addition to colorful furnishings, consider the allure of a well-placed tapestry, curtains, and other upholstery. An important step in the establishment of any great interior design scheme involves getting organized. If your home is cluttered, it’s easy for colors and patterns to get lost in the haze of objects. Consider what is most important to you and part with items you don’t need. While having pretty furnishings can heighten the atmosphere of your spaces, you can also have too much of a good thing. Try investing in furniture that is attractive as well as practical. Furniture such as slide-and-store cabinets clear the clutter and make storage easy. If you have built-in cabinets or shelves, then sliding barn doors perfectly cover exposed shelves. Such pieces will hide any random odds and ends or supplies so that the colors in your room can pop and saturate the space properly. When designing the interior of your home, remember to have fun and appreciate the beauty of colorful paint. Warm colors will give your home energy and emotion that will resonate with guests, while cool tones are excellent for calm vibes. Ultimately, there are no rules, so don’t be afraid to explore and be unconventional.